promoted to Dean of Admissions. In 2006, she was promoted to Provost of South Florida Bible College & Theological Seminary, in 2013 became the Senior Vice President, and in 2016 she was inaugurated as the Institutions 2nd President. 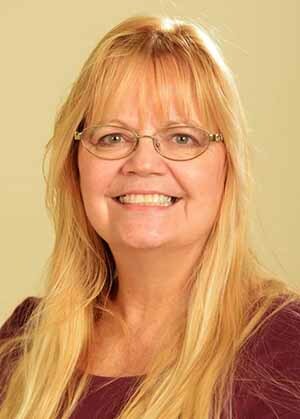 Mary has been the driving force for the college and seminary’s public relations programs. She has been involved with the Deerfield Beach Chamber of Commerce and served as a member of the Education Committee from 1996 to 2002. She was voted onto the board of the American Chamber of Christians in Business and chaired the Education Committee, Membership Committee, and the Speakers Bureau, which she held from 1999 to 2005. Ostalkiewicz; Senator Daniel Webster; and other dignitaries. During her tenure, Mary has implemented a number of significant programs and activities. Among her efforts, Mary developed the SFBC&TS Admissions Office; established the college’s thesis guidelines documentation; chaired the Assessment Committee; developed new catalogs; and worked to obtain SFBC&TS’ recognition authorizations and approvals from the Association for Biblical Higher Education (ABHE), American Psychological Association (APA); the Association of Christian Schools International (ACSI); The State of Florida’s Commission for Independent Education (CIE); the American Federation of Colleges and Seminaries (AFCS); and the Veterans Association (VA). Mary and her husband also currently serve as charter members of the SFBC&TS Light Bearers Alumni Association, which Mary founded. Mary holds B.A., and M.A degrees, and an M.B.A. degree, which was awarded by Whitefield Theological Seminary in 2005. She has also received an Honorary Doctorate of Christian Education from The Cohen institution in May 2008. Mary and her husband are members of Solid Rock Christian Church in Boca Raton, Florida. The Drabik’s have been married since 1983 and have two sons and two beautiful granddaughters.